bright cerulean rides the surf without order. the warm ocean current magnifies his brilliance. Fearsome and powerful but eremite in nature. pursing his sting for a deadlier prey. Man-o-war beware, he is but one to your vast colony. He acts with decorum, this fierce little mollusc. a fleeting glimpse is all we are allowed. 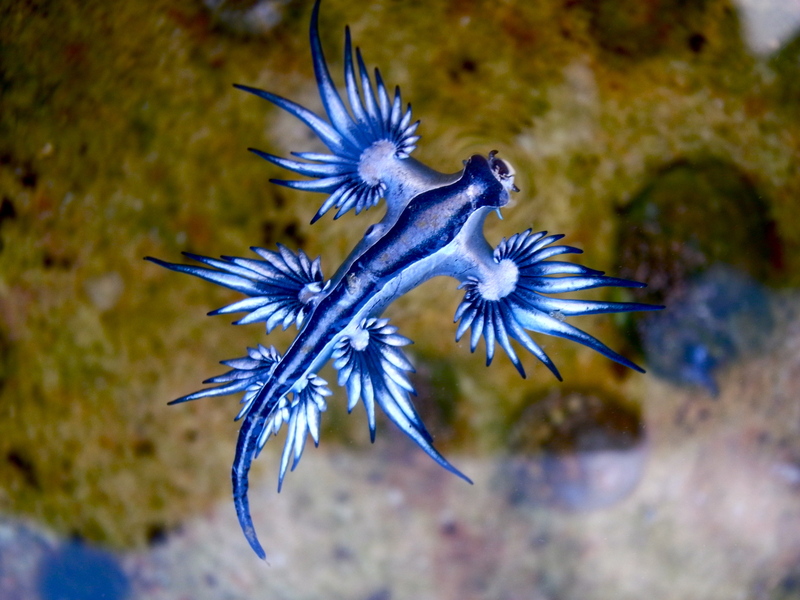 a sea slug, no less.